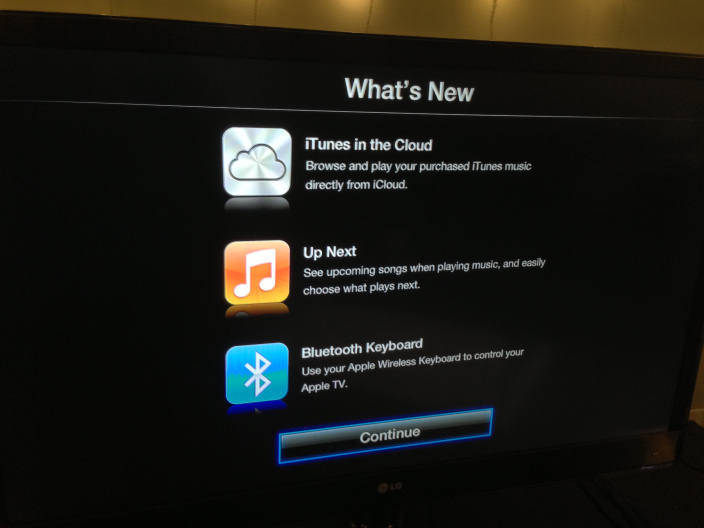 iTunes in the Cloud: Browse and play your purchased iTunes music directly from iCloud. This feature may not be available in all countries. Bluetooth keyboard: Use your Apple Wireless Keyboard to control your Apple TV. See this article for more information.